Group and individual training is available from experienced trainers dedicated to a "total player" philosophy to build fundamental skills and develop a high basketball IQ. Training focuses on fundamentals as well as basketball concepts, execution in game situations and mental preparedness. 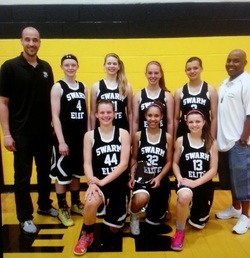 ﻿﻿﻿Jim has been with the Swarm since it's inception in 2007 has won 6 AAU State titles and finished in the top 15 nationally for the three years the team competed in the National tournament. In 2013, the Elite team won both Adidas Nationals and Basketball on the Bayou. Jim players have lead the state in FT shooting, Three Point shooting and led their High School teams to multiple tournament and state championships. Many of his players are now playing Division 1 basketball. Jim played in college at Southwestern Christian University and was a member of their National Championship team. Jim also provides individual and group skills training specializing in shooting and guard skills. ​B.J. started his basketball career at Putnam City North where he was a 4-year starter; 3 time Metro-Conference Player of the Year; McDonald's All-State and McDonald's All-American honorable mention. ​B.J. played college ball at Seminole State and the University of Central Oklahoma (UCO). B.J. averaged 15.7 points and 7 assists with a 52% from the field while playing for the #4 Nationally-Ranked Seminole State team. At UCO, B.J. was a part of a conference champion team with 2 NCAA appearances and 1 Sweet 16 appearance while B.J. averaged 9.5 points and 6.2 assists. Richie also provides individual training, specializing in post player skills. Ashley has excelled at all levels throughout her basketball career. In high school (Midwest City)she was All State and selected as the Gatorade Player of the Year. In college at Tulsa she was a four year starter, all conference and honored as a a member of Tulsa's Ultimate Team. Professionally, Ashley played in both Finland and China. Ashley brings a high level of enthusiasm, accountability and motivation to training for all levels. 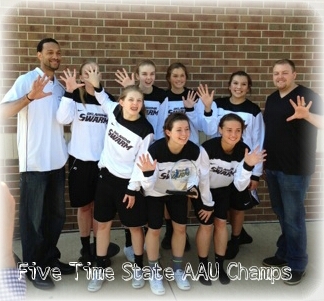 Ashley provides individual training for ball handling, shooting and elite guard skills.